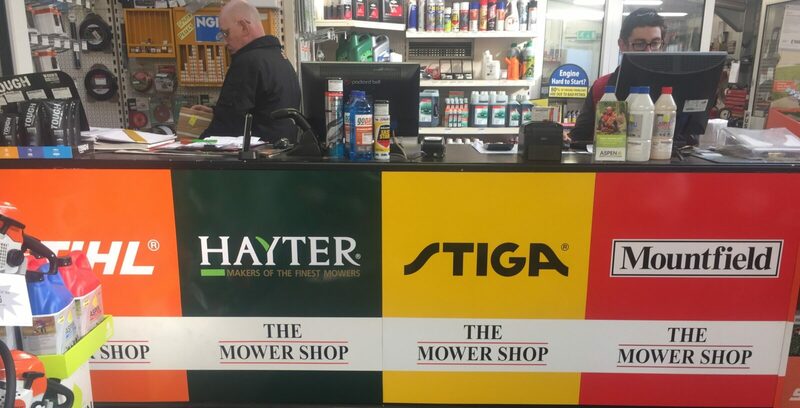 At The Mower Shop, we are the proud suppliers of one of the most extensive selections of garden equipment for Rugby. We have been serving local clients for over 25 years, providing expert advice on the best garden tool for every job and supplying equipment designed by the world’s leading manufacturers. The vast product range in our lawnmower store suits both domestic clients in search of reliable garden equipment and commercial customers who require top-of-the-range equipment for intensive use. As part of our after-sales services, the team at The Mower Shop is also qualified to provide quality garden equipment servicing and repairs. Our fully trained technicians are familiar with virtually every garden equipment brand and model and can get your tools up and running in no time. Our showroom is conveniently located along the A428 off junction 18 and only 10 miles away from Rugby. Our location is ideal for Rugby based clients who would like to receive personal service, advice, and a live demonstration of our professional garden equipment.